When I first heard that a non-pilot had stolen a Horizon Air Dash-8 Q400 and flew around Seattle for an hour, I couldn’t help but be impressed. How could someone who doesn’t have a license to fly figure out how to choreograph that entire event? If you haven’t seen the video, it’s stunning to watch what he did. It appears that my reaction was not the norm. Judging from the stories I’ve seen and emails I’ve read, many people went into panic mode. This was a national security threat and major changes needed to be made yesterday or we’d face the grave threat of stolen airplanes dive-bombing all over the land! While I don’t doubt that changes could benefit aircraft safety (as is always the case), I just have a hard time seeing this as the huge threat others do. If you were looking to do damage to people or landmarks as a terrorist might, you would have to have even better flying skills to actually reach your target. When you think about it this way, the question becomes… could additional security measures help all that much? I’ve seen some shocked to find that airplanes don’t have “keys” that prevent unauthorized access. But that’s proven to be mostly unnecessary because of just how hard it would be for anyone to actually do anything with that airplane if he or she snuck onboard. Of course, this Horizon crash shows that under the right circumstances someone can still pull this off, but it’s exceedingly rare that all the stars align to allow it to happen. The biggest concern in the news is that a terrorist would sign on with an airline or contractor, go through extensive background checks, get a SIDA badge, learn not only to fly but also to taxi and takeoff, find an aircraft parked in a convenient spot, and then execute the plan to kill a bunch of people on the ground or bring down a landmark. The chances of that happening are incredibly minute for all the reasons already discussed. There are plenty of security checks in place along the way to make this truly unlikely. That’s not to say it can’t happen, but it would take a great deal more coordination and work than what happened on 9/11 — bringing some legal box-cutters on to a mostly-empty airplane and hijacking it once in flight. Perhaps the biggest concern here shouldn’t be terrorism but rather the mental health of people who have access to these areas. It’s the same thing I wrote about in 2015 when that Germanwings pilot crashed his airplane into a mountain and killed everyone onboard. I’d like to put my faith in the background checks as being adequate, but that doesn’t help when it comes to evaluating ongoing mental health issues over time. If there’s one takeaway for me after this, it’s that we need to pay more attention to mental health and well-being in this country, especially at a time when rates appear to be rising. This isn’t news, and this particular incident doesn’t really change anything. It just shines more light on the problem. Adding additional security to aircraft? Sure, it could be useful to prevent the one-in-a-million chance of something sinister occurring, but it’s hard to imagine that being worth the cost. Still, fear-mongering is easy and it unfortunately gets clicks. I can only hope there’s no knee-jerk reaction to this. That logic seems convincing overall. But of course taking precautions following one-in-a-million catastrophes is basically the NTSB’s job, and is arguably a large part of why commercial aviation is so safe. It would be really interesting to know how often there is “unauthorized” entry into a commercial airplane. A quick google search only shows one other commercial airliner to have been *stolen*, that I could find, but I wonder how often the attempt is made. “Weird one-time fluke” is not how regulatory agencies are funded by Congress and the Administration. Instead, expect a new program from the Federal Aviation Administration and/or the Transportation Security Administration to cost billions. We will have Congressional hearings in which dueling agencies fight for the “Horizon Billions.” Multiple bureaucrats will promise that only their stewardship of the program can truly prevent some foreign terrorist from sneaking into America’s airports, hijacking a fully fueled A380 and flying it into the heart of downtown Seattle. Of course, it will happen only when the Seahawks are celebrating a Super Bowl or the Mariners a World Series Championship. Congress, of course, will appropriate the Horizon Billions. The President, not wanting to appear weak on aviation terrorism, will sign the bill into law. The American people? We’ll get no more secure airports than we have today but will pay billions more for the perception of safety. After listening to the audio of the radio calls, I was impressed at how well the ATC handled the situation, in terms of trying to be nice to the guy while still nudging him to try to do the right moves. I hope that controller gets the credit he deserves; as a layperson it sounds like he did almost everything right, yet I’m sure he’s still going to have a lot of guilt about the incident. Also impressive to see the Q400 do the aerobatics, especially at the hands of an untrained pilot who was nauseous and light headed, and who didn’t know how to pressurize the aircraft (kudos to the pilot too, for the aerobatics show and for being mature enough to not want to take others with him, and to apologize to the “people that care about him”)… Guessing that’s the first time an airliner has done a barrel roll over Seattle since the famous 707 demonstration. Whether it’s with airplanes, guns, cars, or other methods, there are a lot of ways that someone who is having mental health issues can try to go out with a bang and try to take others with them if they want. I agree that we need to have more of a focus on mental health in this country, reduce the stigma among men that mental health issues mean a man is not “macho” or masculine, and stop using our prisons as dumping grounds for those who aren’t getting the help with mental issues that they need. I largely agree with CF’s views. However, people argue that we should increase mental health resources as a result of this incident. But so far as we can all tell, Beebo was a normal, adapted human who found drudgery in his work and wanted more pay but who justified those things with his pass benefits. He clearly did well enough in his early years at Horizon that he was moved to a more specialized job. I’m not a mental health professional and don’t play one on TV but it would appear that the dividing line between normal humans that can adapt to the challenges of life which we all face and those that are mentally ill is the inability to cope with reality as it exists or engages in behavior that harms oneself or others. So far as we know, and investigators are certainly going to be looking for that evidence, Beebo didn’t exhibit any behavior before the accident that indicated he was going to commit property crimes and take his own life. Maybe, just maybe, he was a normal guy like most of us that knew how to do his job well, learned to fly using readily available technology and his limited on the job experience, had access to aircraft, and took up an aircraft for a joy ride that turned bad including when he feared in-flight that he would be locked in jail for life if he could manage to get the plane back on the ground without being shot down. Ultimately, he might have made the choice to hurt no one except himself and destroy a copy of an aircraft type which Horizon was already retiring but he might also have just run out of fuel before he could process all that he needed to process in order to bring his joy ride to a safe end for everyone including himself. Maybe, just maybe, he entertained fantasies in his head that no one could have possibly ever known and there could have been no way for anyone to know that he had issues until he acted out on those fantasies – which he shared with no one. He had some concept of the risks involved but was willing to take the risks but perhaps not the ultimate risk which might have been running out of fuel that ended his life and destroyed the airplane. Given that it took very few minutes for ATC to begin calling him by name in the flight, apparently his coworkers figured out what was going on pretty quickly and alerted authorities. I’m not sure there will be as many “if we implement this recommendation, something like this can never happen again” as some people might think or wish. I don’t disagree but what were the indications that there was mental illness before the plane theft? If there was evidence and everyone missed it, then we can talk about what everyone needs to do better. If he entertained thoughts of stealing a plane and never told anyone, then how could anyone have known there was mental illness, let alone flag or it ask for treatment? His first act of abnormal behavior might well have been the one that drew global attention and ended his life. Being bored with life and complaining about one’s job is not mental illness. I don’t want to live in a world where someone calls the cops and revokes your driver’s license and sends you to a shrink just because you tell them you had a hard day at work or you need to make more than you do and I am certain I am not alone. I’m not sure why some people can’t accept the possibility that he took a joy ride that turned really bad. Joy rides often break laws and breaking laws can be a sign of mental illness but criminal activity is not always rooted in mental illness. Tim – There is no way any of us would have any idea about his mental state. precisely… which is why there is no reason to think there is the basis for throwing resources at mental health issues. At best, it could be a real life version of Grand Theft Airplane where there is no button that you can push to come back to life for another round. The family said they had no idea that he could have done something like this and so far as we know, so did his employer. Maybe the investigation will say otherwise but prescribing any outcome seems premature at this point including throwing resources at a problem which might or might not have had anything to do with what happened. Drawing conclusions about his mental state based on the ATC tapes from someone that might not have been able to pressurize a plane and was performing wild acrobatics interjects basic physiological affects of flight into a discussion of mental health. Maybe just maybe, he learned to fly an airplane as well as he did by playing video games that allow one to not really pay the consequences for your actions when you steal things and operate machinery in crazy ways in public spaces. Should we ban video games because he had access to planes and could act on his fantasies or play his video game in real life? That might be a solution some might propose but others would strongly disagree because they have no way to turn video games into reality and can figure out the difference between the two. The best thing about Beebo’s wild Friday night is that he seemed to exhibit no desire to harm other people. Lots of what ifs and unknowns but very few likely ways to prevent something like this from every happening again. btw, I am enjoying the chat with you on the issue. Was the radio call secure/encrypted (i.e. can we be 100% sure it was not altered or previously recorded)? I heard it was not transferred over to encrypted communications, which would be unusual. I see people didn’t like this comment. But I feel it’s a fair question to ask since I thought “all stones are unturned” when a commercial airliner crashes. Was the audio we heard between Russell and ATC encrypted? If not, why? You’ve been downvoted because your premise doesn’t make any sense, and has a whiff of conspiracy theory besides. Civil aircraft aren’t equipped with encrypted communications gear. ATC transmits and receives in the clear, because their entire purpose is to convey information to every aircraft that they are handling. It’s in everyone’s best interest to hear everything they say so they can maintain situational awareness, and also so that they don’t step on someone else’s transmissions. I agree the risk is LOW. but flying (take off specially) a plane is not hard, flight sim/youtube will teach you pretty much everything you need to know. There has to be discussion on pay of non-union ground crews, especially on regionals and contracts employees. they get paid not much more above min wage, extra 30 min -45 min for commute/security inside the airport, they work in all type of weather. But their pass priority is few steps below mainlines. … while true, no one can possibly argue that stealing an airplane is an acceptable way to deal with those issues – or any other for that matter. If he was frustrated with his work situation, he apparently didn’t say enough for the company to suspect they needed to limit his access – or he at least didn’t act on anything until he took the plane out in an act that ended his life. And there really isn’t any way to know if his pay was a motivation or simply a byproduct of the situation – no different from his pass benefits which he used to see more of the world than a lot of airline employees of his age and seniority. and some airlines do give employees of their wholly owned regional airlines the same pass benefits and prioirty as their own employees. At others, the regional airline’s employees get priority over their mainline partner’s employees on their own flights. They might be hiring the “wrong” people, but they can’t avoid that by low wages and crappy benefits. I have worked on the ramp for a period of time. Ted – Let’s remember that this is Seatac where the minimum wage is $15.64. In thought airlines were exempt from paying that? Kevin – Oh fascinating. Apparently unions that have collective bargaining agreements can opt out. 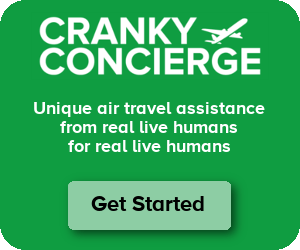 Looks like Horizon’s ground service agents now start at $13.75 plus benefits. yes, I believe Kevin is right. Airlines have fought and so far succeeded in gaining exemption from local labor regulations in many locations. And if he was a 3 year employee, he was likely above the $15 salary level anyway. Apparently both airlines and any employer with a collective bargaining agreement are exempt, so unionized airline employees are doubly exempt. As a strong believer both in living wage minimum wage laws and much stronger unions, I do kind of see the logic there, allowing unions to negotiate better benefits (of course including flight benefits for airline employees) in exchange for lower wages, and the minimum wage that other employers are subject to still provides a floor through competition. That said, the bargain for public employees has long been to accept lower wages in return for better benefits. Then governments (employers) start complaining about the exorbitant benefits but don’t raise wages to match. We can expect to go far, far past the point of diminishing returns–but we can look forward to thundering tweets from The President about….well, any number of things; but you can bet that it was all Obamas fault. *Airliners* may not have ignition and door-lock keys but many if not most small GA aircraft do. I’m not a GA pilot, but given that noise-cancelling headsets can easily get into the 4-figure range, let alone avionics (though I’m not sure how easy those are to steal from a plane and sell), I’d certainly be locking up a Cessna if I owned one. That said, I understand the rationale and focus of securing the perimeter at commercial airports, especially with so many people who need to service/touch/contact each plane in the course of a day at different airports. Could you theoretically add biometric or RFID scanners to the outside of all the doors/compartments of planes (including pax doors, cargo doors, fuel, lavatory, etc etc)? Probably, but it would never be worth the added cost or weight. There is also the concern that a lock would malfunction and stay locked during an emergency so that a evacuation door would not open. Good point, not sure why I didn’t think of that. Thanks for the common sense and reasoned perspective, Brett. We need that. As someone who studies crisis comm and has some limited airport access (though not to the SIDA level), this aligns with a lot of what I’ve been thinking since this happened. Just saying that mental health needs to be address is simply going after the low hanging fruit in this equation. Especially when the majority of this blog defaults to “we love aviation and hate any additional burdens that might be placed on it” (it’s also why this comment is probably going to be downvoted). Anyway, you’re going to see several changes because regulatory bodies and airlines own safety management systems can’t accept that something is a fluke. That’s not how this industry gets safer, and that’s not how you stop something like this from happening again. They’ll come to the obvious conclusions that they’ll park airplanes in positions that won’t allow them to be taxied straight out (they’ll need a pushback), and they’ll further limit access to airplanes and probably require a buddy system for anyone who’s going to be on the ramp with access to an airplane. They might also expand JHIMS programs to include mental health as well as drugs and alcohol. And I’m sure they’ll be several other minor tweaks and changes that’ll be airline specific. While I agree that the media sensationalism isn’t the way to go, simply throwing your hands up and saying we’ve done everything we can and this was just a fluke is equally shortsighted. Mark – Your point is well taken. It can’t hurt to look into simple options that could positively impact aircraft safety in situations like this as there as there is no overbearing burden. This requires a cost-benefit analysis, and my point is primarily that the benefits are low because it’s just not a major threat. But if the costs are also low then there’s no reason not to explore those possibilities. I completely agree. It’s driving me crazy that the news is treating this as a security issue and not a mental health issue. Anyone, even seemingly well people, can have mental health issues including pilots or anyone else with access to aircraft. Rather than focus on locking everything down, we as a country need to focus more on mental health reform. It’s a bigger deal than anyone wants to admit. That’s where I’m at. I became a licensed pilot while in college, and subsequently worked on the ground crew for a regional airline. My first thought when I read this story? I’m impressed, because I wouldn’t even know how to start the airplane. This is a mental health issue, not an airport security problem. One issue I have with the way we stigmatize mental health in this country is that we ultimately discourage people from seeking treatment when they need it. > One issue I have with the way we stigmatize mental health in this country is that we ultimately discourage people from seeking treatment when they need it. That’s the crux of it to me, both from a societal and a regulatory standpoint. If the immediate reaction is to ban anyone who is (or has ever) been depressed etc from operating a plane etc, those people won’t get help when they need it, and the bans will discourage those on the fence (and those who need help) from obtaining it. Are people who definitely SHOULD NOT own/operate planes (cars, guns, cars, pick any other potentially dangerous item), due to their mental health challenges? Absolutely. However, those people are on the extreme end of the spectrum of mental health issues, and it IS a wide spectrum, not a binary thing. It might sound weird, but I was really impressed with the fact that he was able to do what he did with the plane. I wasn’t worried about any threats of terrorism or something like that. Besides, they were able to scramble some F-15s from PDX really quickly if there was any threat of danger. Absolutely agreed. From the poor quality videos I’ve seen of it, while the guy may not have had the best control of the plane, I can see how some eyewitnesses said that they thought it was practice for an airshow (and I’d pay to see a professional pilot do maneuvers like that in a Q400 at an airshow). For a non-pilot to do that, even one qualified to sit in the cockpit while it is being taxied/tugged around the airport, is awfully impressive. Hi CF, I’m with you…my first reaction was how could a non-pilot fly a complex aircraft like the Dash 8 for an hour even performing aerobatic maneuvers. As a security matter this was one in a million. You have to trust some people to be near the aircraft and this guy had all the required clearances. He apparently had some mental issue that his workmates did not detect. I am not sure what could be done to prevent a recurrence, but the effort involved would not be worth it. There are plenty of airline employees plus people in health care, law enforcement, the military, 24X7 retail etc etc that figure out how to adapt and not break. There are also people who work 9 to 5 jobs who make plenty of money and are alcoholics and drug abusers. Adapting to stress is required in all aspects of life. Some people need help while others figure it out on their own. Many people in health care are around death on a regular basis while law enforcement is constantly in high stress, volatile situations. Airline employees get travel benefits if they choose to use them. Healthcare? Not so much. None of the stress elements that Beebo encountered and you noted for airline employees popped up in the 3.5 years after he started working for Horizon. Now that I think of it, I’m surprised I haven’t seen some exposés about rather rampant opiate abuse rates among rampers. Lifting and moving heavy bags in confined spaces can’t be easy on the body, just as construction isn’t. This will be big news and have Congress up in arms, giving speeches and calling for action. But it will be all forgotten come November 7th. That is the day after the November elections isn’t it. Pretty amazing. Pilots and non-pilots…remember the SkyWest jet pilot at St. George, Utah, and the guy who locked out the other pilot on a European flight. I stand there at Gravelly Point, Reagan National, and watch, and wonder, wouldn’t it be easy to…? Of course, there are lots of auto tragedies that, there’s more to the story than anyone’s letting on. And that guy, in Atlanta, was it, who got loose with a tank and took it on joy ride. How many people are watching TV and thinking to themselves, mentally, “this is not going to end well!” One day at a time, I guess! I’m surprised to see so many regular readers who should know better who are pre-judging this event based on hearsay. What happened? Where are your rational senses? At least wait for the preliminary report! Agreed. It’s been categorized as “mental illness” and we have almost no facts and people have already decided to challenge anything but the fuzzy talking points. As the situation unfolded, standard communication protocols were not followed and we’re just supposed to believe “video games & mental illness” ?!? The fighter jets were scrambled to the area within a few moments and then just let a hijacked plane circle nearby downtown Seattle for an hour on a Friday night in the summer? Yowza! Crazy times. Can you help us understand what standard communication protocols exist for a stolen aircraft by an airline employee exists, what wasn’t followed, and how this provides insight into the cause of the incident including the involvement or not of mental illness? Defering the discussion of whether government agencies will “legislate” additional (ie costly) changes to airport procedures as a result of the “theft”, what is the hull loss going to cost Horizon? And if they had external insurance, are they going to run into the insurance companies lawyers due to their “lax” security in the access to the airplane. Or put another way, would the airlines prefer government rules to changed insurance regulations? My first thought, too, was that insurance companies would act long before the federal government. But on reflection, I suspect that most airline of any size self-insure, either directly or through an off-shore captive insurance carrier. (The latter can provide U.S. income tax advantages.) Companies that do this typically purchase reinsurance for higher or catastrophic levels of coverage — much the same way an individual might purchase umbrella liability insurance. Anybody in this group of readers have actual data? Hi Greg, No, airlines do not self insure…. the potential losses are too great. Of course they have pretty high deductibles, but nothing approaching the value of this aircraft. National Security? Seriously team? Surely it’s much easier just to buy (or print your own 3d) a gun with bump stock. Tokyo Hub? Who Needs a Tokyo Hub? If You Think Fares Are Confusing for Travelers, What About the Poor Pricing Analyst?